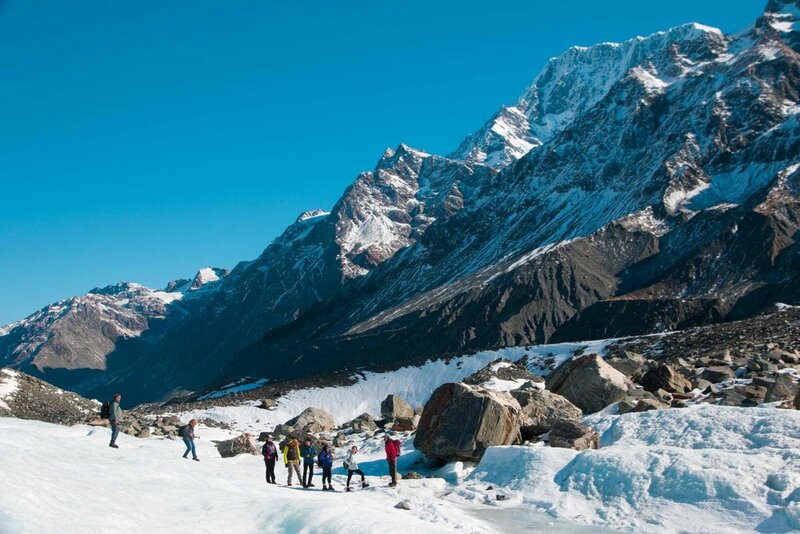 Hike and explore the 'white ice' of New Zealand's longest glacier at Aoraki Mount Cook. Heli-hiking on the Tasman Glacier with Alpine Guides offers easy access to the realm of the mountaineer. 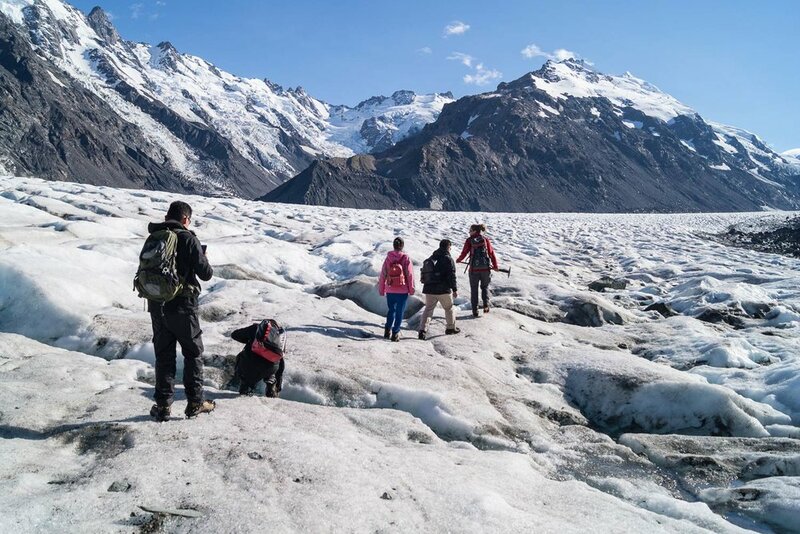 With your mountain guide, you will fly high onto the “white ice” of New Zealand's longest and largest glacier – the mighty Tasman (Huapapa). We meet at Mount Cook Airport, provide a safety briefing, and check equipment - then embark on a thrilling helicopter flight into the mountains. Tasman Glacier Heli Hike is a joint venture with The Helicopter Line. 21 Sept - 30 April: 0900, 1100, 1300. May 01 -14: 0900, 1100. 15 May - 20 September (winter): 1100 only. Sun protection for warm weather.